Victoria – Seniors Advocate Isobel Mackenzie released an update report today confirming that caregiver distress is rising in B.C. while supports and services are not keeping pace with growing need. 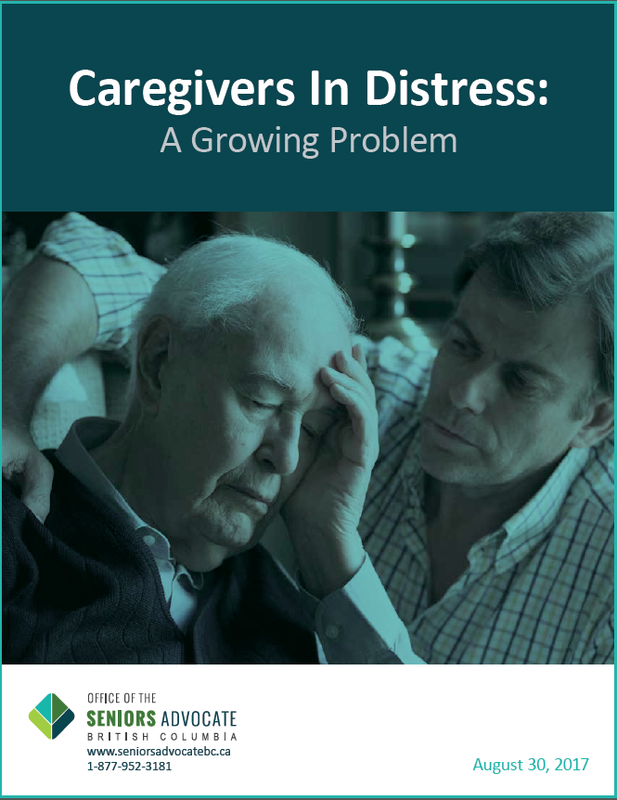 The report, Caregivers in Distress: A Growing Problem, is an update to a 2015 report that indicated 29% of unpaid caregivers are experiencing symptoms of distress such as anger, depression or feelings of not being able to continue with their caregiving duties. Data highlighted in the current report indicate rates of distress have increased by 7% to 31%. The report focuses on the caregivers of individuals receiving publicly subsidized home support in the province, as this is the only sub-set of the caregiving community where measurable data using detailed health care assessments are available. This report also relies on data that tracks key support services such as Adult Day Programs, which provide regular programming and relief to caregivers, respite in residential care facilities, and additional home support services, that also help provide a reprieve from caregiving duties.